Malware is a serious threat to the security of both individual and business users. They are evolving at an incredible pace, and are spread through social engineering methods to trick users into downloading them on their computer. Malware can wreak havoc on your system. It can wipe out your favorite music files, pictures, videos, and documents - almost instantly! It can lock down your computer making it inoperable or record your browsing activities and steal private banking details. 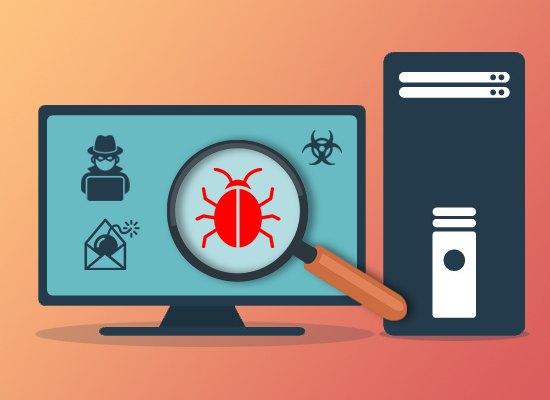 Modern malware such as Trojans, spyware, viruses, adware, rootkits, etc., are smarter and more potent than their predecessors; hackers design them in such a way that they are capable of running multiple coded instructions. Malware can also detect security flaws that might exist within your computer system and take advantage of those security flaws. Your computer may get infected with malware if you do not follow safe browsing habits. The primary way by which malware spreads are through the internet and pirated software which seems legitimate. Hackers use seemingly benign software to lure unwary users into downloading malware. Hackers blend malware codes with legitimate software to trick users into downloading malicious software. If you notice strange pop-up messages on your computer screen, it is most likely to be caused by adware. Adware is a group of malware that is known to bombard computer screen with annoying pop-ups. If you click on those pop-ups, it will then start to install additional malicious software on your computer. The best way to get rid of malware such as adware is to use a good antivirus software like Comodo Antivirus. Malware programs can drain your computer resources like CPU and memory resources which will ultimately slow down your computer and sometimes make it unusable. Some malware may slow down your internet connection as it uses your internet connection to give access to the remote hacker. If your computer has suddenly slowed down or is inoperable, you should install a good antivirus program. To prevent malware from infecting your PC, you should practice good browsing habits like not downloading files from shady websites or clicking links from suspicious or unknown sources. If you practice good browsing habits, you should be able to surf the internet relatively trouble-free and protect your computer from malware attacks. In an organization, an entirely different strategy is required to defend against malware threats. Every endpoint must be protected to safeguard the entire corporate infrastructure and network. Since endpoints represent the easiest targets for malware due to outdated software or operating systems, you need advanced endpoint protection solution to protect them. Comodo Advanced Endpoint Protection (AEP) is such a solution that offers complete protection across endpoints. Thanks to the 'Default Deny' platform and lightweight client in Comodo AEP, it can quickly prevent malicious software across endpoints without affecting end-user experience.